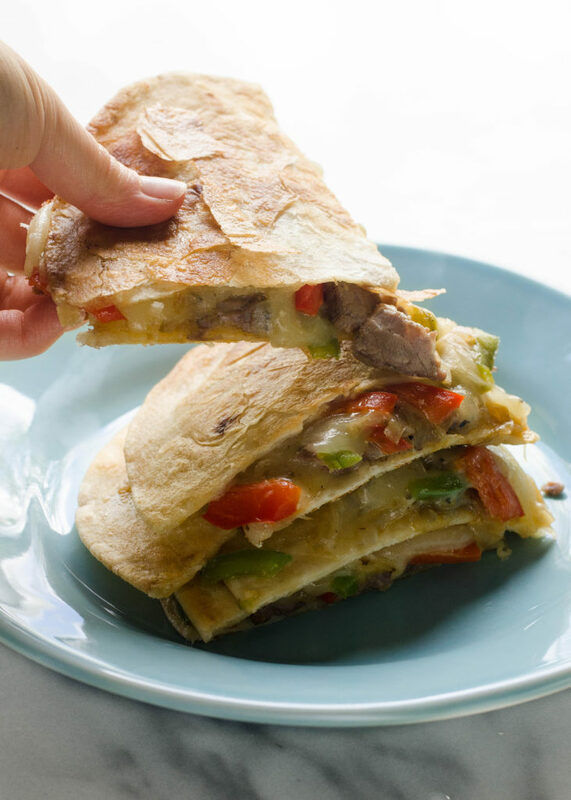 Philly Cheesesteak Quesadillas are filled with peppers, onions, steak, and oozy cheese. Yum! Quesadillas are one of those foods that are just a pleasure to eat. Crispy on the outside and gooey in the middle. The textures are just fantastic if done correctly. Another reason to love quesadillas: they lend themselves so well to a variety of fillings! I happened on a really great combo with these Philly Cheesesteak Quesadillas. Fried peppers + onions, thinly sliced steak, and melty cheese. I mean, what could go wrong? If you’d like to make these cheesesteak quesadillas yourself (probably tonight), head over to The Pioneer Woman’s blog for the recipe! My omega 3 and DHA levels were stellar – she said that she rarely saw levels that good. I was really happy about that – all the cod liver oil + emu oil have paid off! Good thing too…they’re expensive! She said that I have awesome genetics, at least for the big ones that we tested for. YES! My Vitamin B levels were also great. So I don’t have Vitamin B anemia! My heart, kidneys, and liver are also doing great. This was a relief for me, especially the kidneys. I had a kidney infection a few years ago, so of course I imagined the worst: kidney failure. My iron levels are within normal range, but the naturopath would like to see them higher. She thinks that the supplements that I’m taking will help with that. I don’t have any signs of chronic or acute infections. She said that she thinks I’m sub-clinical hypothyroid. So most people would say that I’m in the normal range, but she thinks my thyroid is a bit sluggish. Many thanks to Anna for suggesting the beef heart as a source of CoQ10! I mentioned it to my naturopath and she really liked the idea. I ordered a bottle, and within a few days of taking it, my energy levels improved! I’m still nowhere near back to normal, but it’s encouraging to see results so quickly. Hopefully continued use will build up my CoQ10 stores. I’m also taking Thytrophin PMG by Standard Process for my Thyroid. I’ve upped my Vitamin D intake to 6 drops of this supplement. The naturopath also suggested that I eat 4 Brazil nuts a day for selenium, seaweed for iodine, and shellfish (such as oysters) for zinc. Those all help to support your Thyroid. That’s it! Kudos to you if you read through all of that! I have high hopes that I’ll be able to turn my fatigue around. Your prayers for my recovery would be greatly appreciated! It sounds like you are very healthy, albeit fatigued. I was the same way when my children were small. There was always so much to do: shopping, cooking, visiting with my mother and my friends, keeping the house cleaned up and the laundry done. Whew! It makes me tired just thinking about it again. Now that Helen is five, you can teach her to sweep the floors and do the low dusting for you. She can put placemats and napkins on the table at meals, too, unless James would like to do that. When they are about three, children love to do chores. It’s when they are teens that they rebel. Here’s hoping you perk right up! Yes, there’s always something to do! Helen and James LOVE helping out (most of the time). Helen in particular is becoming very helpful. She unloads the silverware from the dishwasher, sweeps under the table, wipes down the bathroom, wipes down my stove, etc. It’s so nice! James is also becoming a good help. I love the taste of coffee, but it makes me so crazy when I have it! Maybe if I did half caf? Haha! Hey, Nrona! 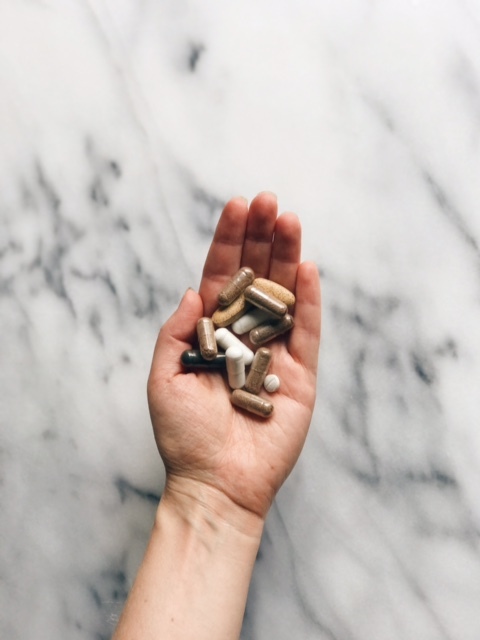 Yes, it can be very overwhelming when there are loads of supplements to choose from! 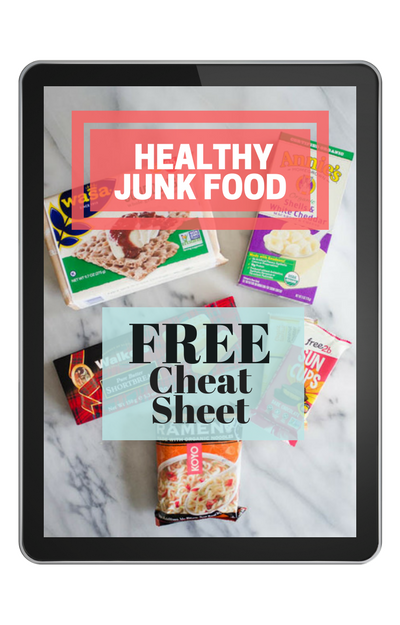 I usually look for ones that are made with whole food ingredients if possible and without a bunch of added junk. I also tend to stick to brands that are reputable. Some of my favorites are Thorne, Pure Encapsulations, MegaFood, Garden of Life, Vital Proteins, Perfect Supplements, etc.